Does your home have an outdoor living space? If not, this is the time to create one! Learn the reasons why your family needs an outdoor space to connect, and how to make it happen. This post is sponsored by GreatGatherings. All opinions are mine. If you asked me what my favorite room in our house is, I'd have to admit it's not a room at all. Ever since we added a deck to our home two years ago, our outdoor living space is my favorite place to be. Does your home have outdoor living space? 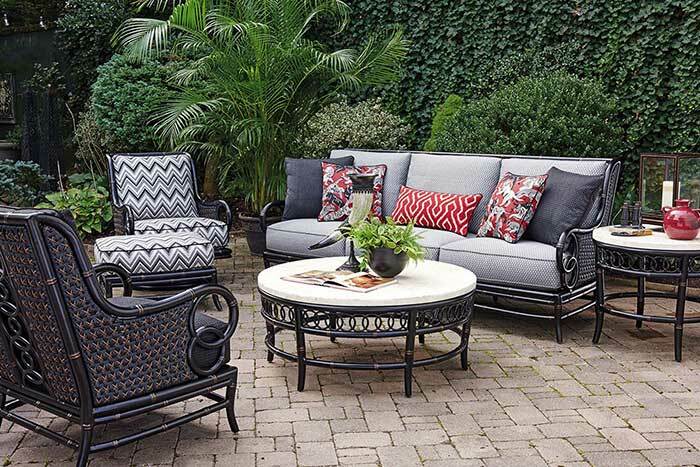 If not, this is the time to create your own outdoor family room. It's easier than you think and you'll be amazed at what having a place outside to gather and entertain will do for your entire family. It's no secret: many families today are struggling to connect. Whether it's the demands of a busy calendar or the pull of technology, we are spending less time together. Sure, social media is great for keeping you up to date on long distance family and friends, but that often comes at the expense of creating personal connections with those closest to you. This technology centered lifestyle can even be seen in how we set up our homes. Is your living room furniture placed so that everyone can see the TV? Is there a digital assistant in your kitchen? All of these things add up and soon we find that no where is safe from digital distractions. Except outside. When we head out to our outdoor living spaces, we can leave the gadgets and gizmos indoors and actually talk to each other. We can create gathering places to enjoy great conversations, family meals, and make lasting memories. 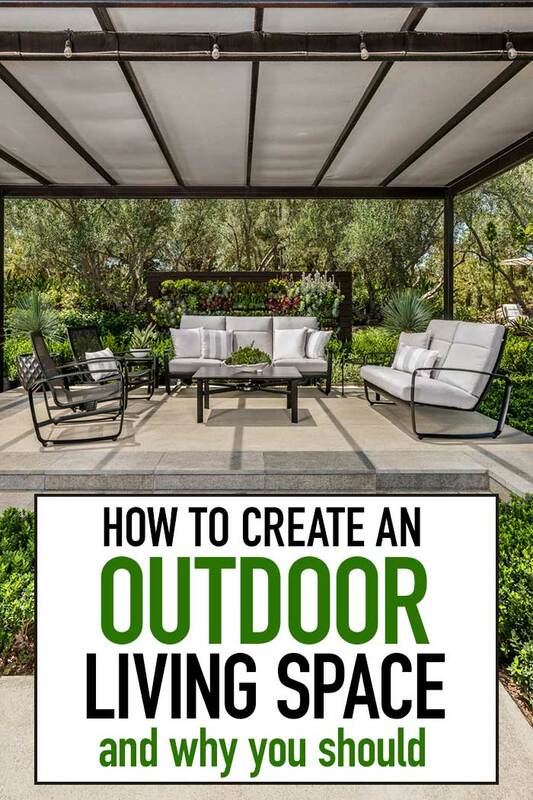 So how do you create an outdoor living space that will do just that? Here are a few tips to get you started. There are some considerations that go into creating your outdoor living space. The actual space you have to work with and your budget are of course big factors. Beyond that, you need to think about how you want to use the space. Does it need to be kid and/or pet friendly? Are you planning to eat outdoors? Do you need to account for seasonal changes? How will you use the space in different weather/temperature conditions? Are you planning to host large or small gatherings in your space? Or both? Once you have these things figured out, you can choose the perfect design for your outdoor living area. 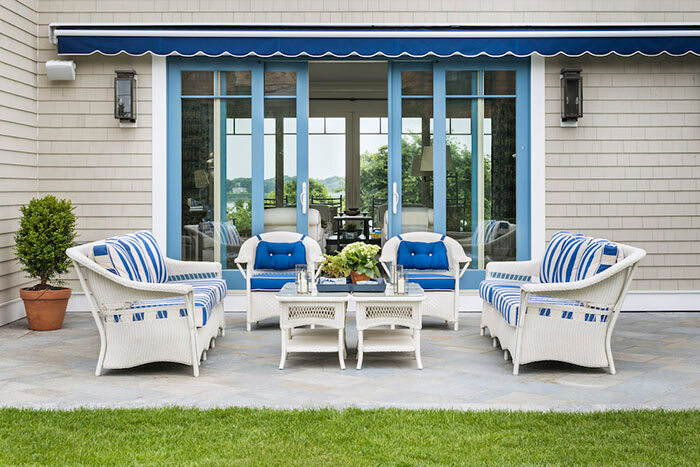 There are so many choices for how to design an outdoor living space that you need to know where to start. There's no better place for inspiration than GreatGatherings. 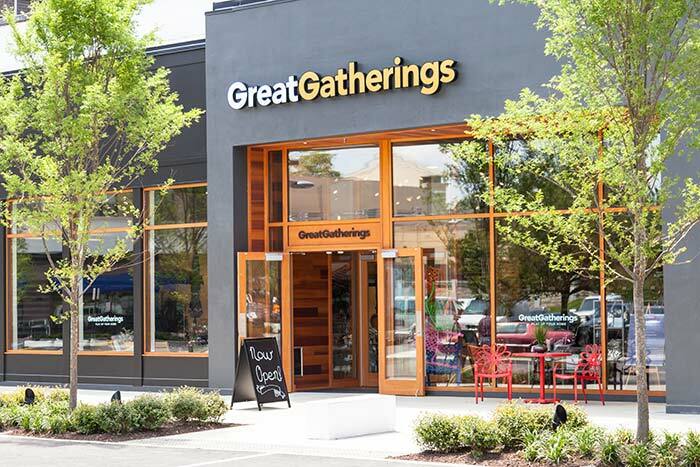 GreatGatherings is much more than just a place to buy outdoor furniture and accessories. They also have a wealth of ideas, information, and instruction on entertaining – from books to how-to presentations given by entertaining professionals. It's like having your own personal design consultant at your fingertips. You can find an entire room collection, individual pieces, including the hottest party glassware, serveware, décor, and recipes themed to holidays and party events throughout the entire year. GreatGatherings is a place that brings the most inspiring elements of entertaining together in one spot so that you can easily see the unique and exciting ways that you and your family can connect in your own backyard oasis. 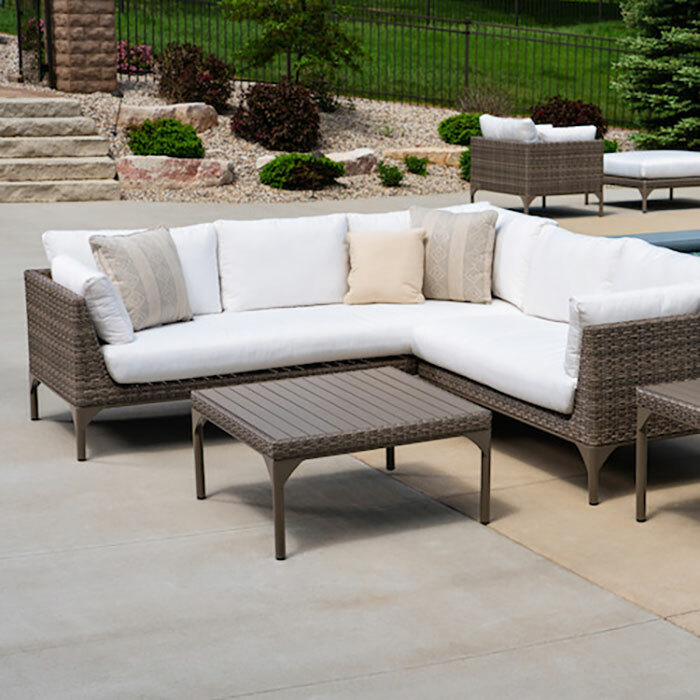 Right now, GreatGatherings is making it easy for YOU to save on your perfect outdoor living space. Sunny Day Family readers can receive a Gift Certificate for $100 that they can use for purchases of $150 or more at the GreatGatherings retail stores. To obtain the Gift Certificate, bring this PROMO CODE ​- ​GG$100-​Sunny Day Family​ to a GreatGatherings store, and mention the Promo Code to an employee. Click here to find a store near you. How will you create the perfect outdoor living space for your family? Watch the video below to get inspired!